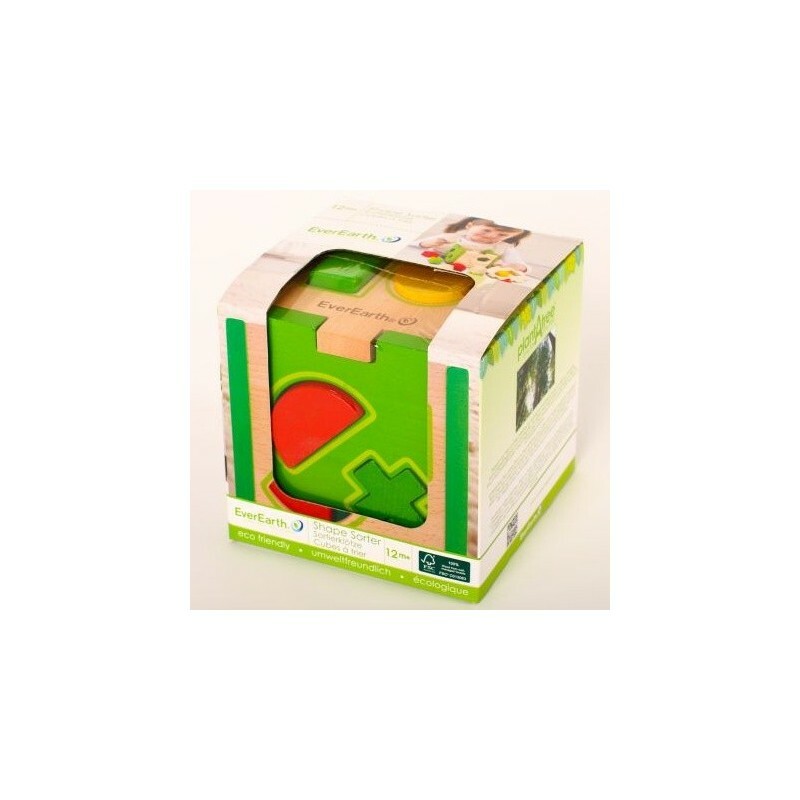 This shape sorting toy is made out of 100% FSC Certified wood and painted with non-toxic water-based paint. 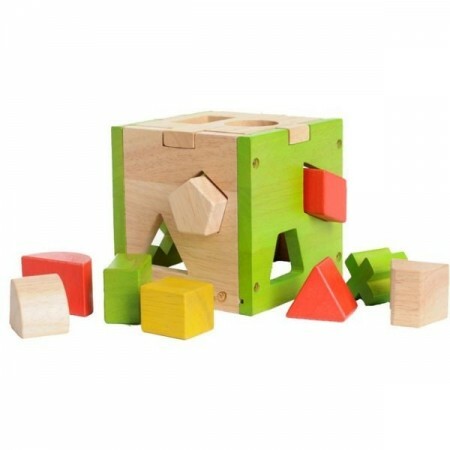 This eco-friendly toy gives hours of unplugged fun as kids sort and match the shapes to the correct holes in the cube. 12+ months. 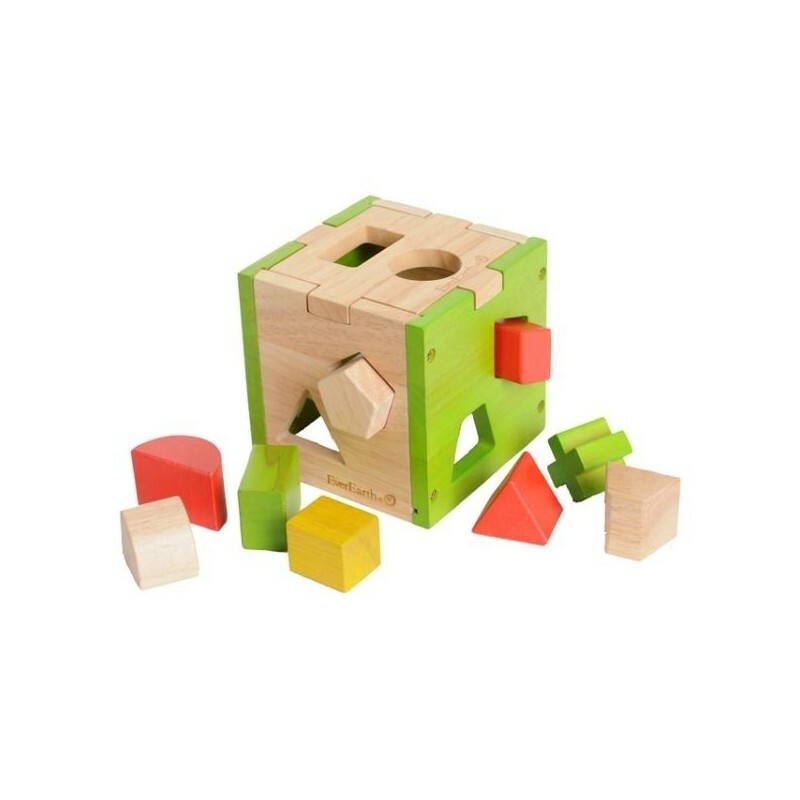 Brightly painted wooden cube with fun wooden shapes that slot into the matching holes in the cube. Recommended for children aged 12+ months. Box: 13.7cm x 13.7cm x 13.7cm / 100% FSC Certified hardwood. 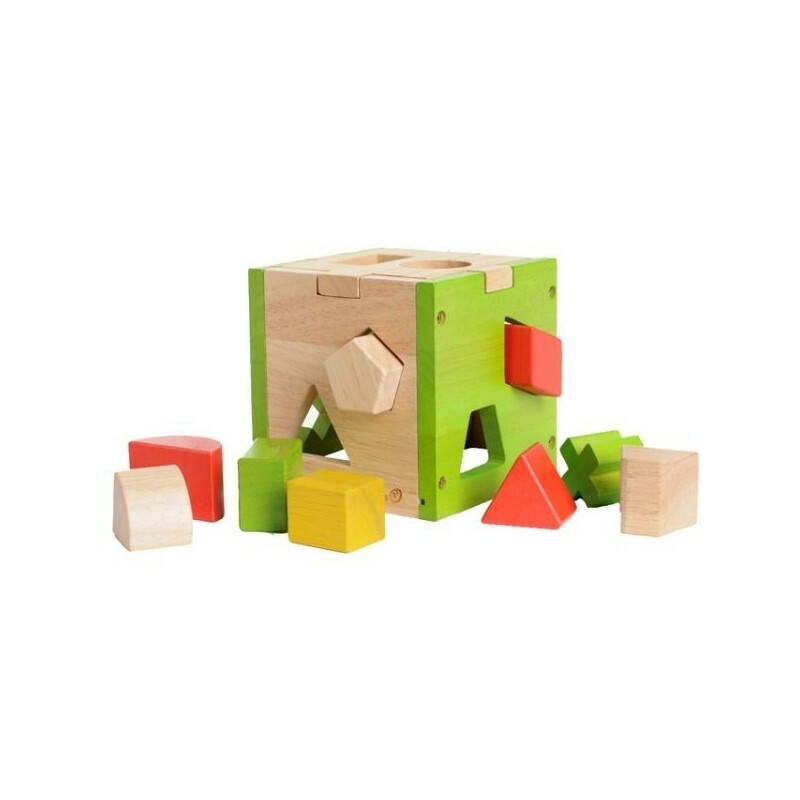 From around 5 months my son loved playing with these blocks. I would stack them up in a tall tower and he loves smashing it over or, more recently, trying to remove the top block. When older he can post them through their holes. Bought this as a birthday gift for a little girl. She loved it. The product is really well made. Love the wooden version of the commonly plastic toy. The wood feels so much better. Very well made product - I can see this lasting a long time!